Took a shot of the International Cruise Terminal at Marina South recently. Reports says it will be completed by 2013, which is next year. It has really deep waters, no height restrictions and a large turning basin compared to the Cruise Centre at Harbourfront. 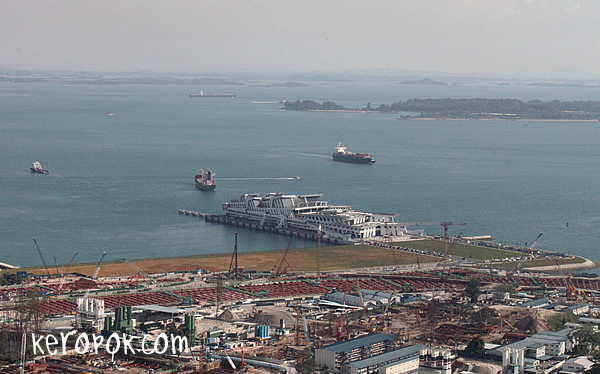 Can't wait for it to be ready and huge cruise liners can berth here!